Being healthy the natural way involves five steps. If you follow them you will be fit, well-informed, well-groomed and surrounded by good people who support you. Make sure you have a balanced diet that includes a lot of fresh fruits and vegetables. Cook them if you prefer, but they are more nutritious when they are raw. Whole grain breads, crackers and rice have a lot of fiber and are filling. Meat is good in small portions, and fish is an excellent source of protein. Try to eliminate junk food and fast food. Substitute nuts, dark chocolate and low fat cheeses. You need to move around for at least 20 minutes every day. Being active is a powerful way to stay healthy. Do stretches before engaging in high impact regimens. A perfect low impact physical activity is walking. It is aerobic and causes your body to release endorphins which give you a natural feeling of well-being. Exercising can prevent obesity and build stamina. If you need guidance and encouragement you can join a gym. Sometimes it is nice to be a part of a group when you workout. Having close friends and family to support you helps you to be healthy naturally. It is important to have people to confide in and share experiences with. Human beings are naturally social. Never stop trying to make friends. It is good to be friends with people with whom you have a lot in common, but interacting with people who are different from you sharpens your brain. Avoid toxic relationships that waste your time and sap your energy. Being healthy means surrounding yourself with loving and helpful people. Be a good friend and family member also. It is a two way street! You can prevent illness and social stigma by staying clean and well-groomed. Floss, brush your teeth and take a shower daily. Use deodorant or talc to eliminate underarm odor. Shampoo and comb your hair so that it looks presentable. Keep your laundry clean and fresh. The old adage "cleanliness is next to godliness" is very true. Being clean can prevent the spread of bacteria and viruses. Clean people tend to get sick less. Know what is going on in your community and around the world. Luckily we live in a digital age, and have easy access to information 24 hours seven days a week. Politics, the crime rate, law, and world affairs can affect you directly. It is better to know what is going on. You can get involved with making positive changes in your town and/or country. Read books, magazines and Internet articles. You can educate yourself about various subjects. Take a class or enroll in college if you want to learn more. 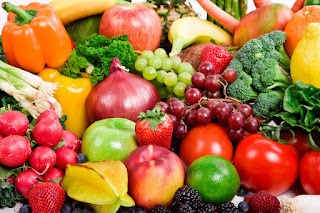 Being healthy the natural way involves several easy to follow steps. A holistic approach is quite effective. There is no need to have vices when there are healthier alternatives. Thomas Sand loves writing, music, and yoga, and he is a contributing author at www.termlifeinsurance.org.